“Mango” to deliver smarter and easier communications, apps and Internet experiences and bring Windows Phone to more customers around the world. The smartphone experience can be complicated by a sea of disconnected apps and accounts as people attempt to keep pace with all the ways they communicate — from calls, texts, email and instant messages (IM) to status updates, Tweets, check-ins, photo posting and tagging. To help people stay on top of that growing complexity, the “Mango” release organizes information around the person or group people want to interact with, not the app they have to use. • Threads. Switch between text, Facebook chat and Windows Live Messenger within the same conversation. • Groups. Group contacts into personalized Live Tiles to see the latest status updates right from the Start Screen and quickly send a text, email or IM to the whole group. • Deeper social network integration. Twitter and LinkedIn feeds are now integrated into contact cards, and “Mango” includes built-in Facebook check-ins and new face detection software that makes it easier to quickly tag photos and post to the Web. • Linked inbox. See multiple email accounts in one linked inbox. Conversations are organized to make it easy to stay on top of the latest mail. • Hands-free messaging. Built-in voice-to-text and text-to-voice support enables hands-free texting or chatting. 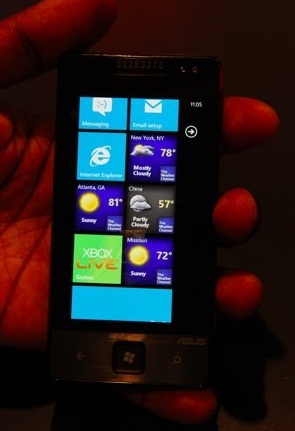 Windows Phone will challenge the way people think about apps. Today their usefulness is measured by what can be done within the app, but Microsoft sees the promise of apps in how they can be integrated directly into the core experiences of the phone. In addition to making it easy to get timely notifications and updates from apps right from the Start Screen, the “Mango” release also will surface apps as part of search results and within Windows Phone Hubs. As a result, a useful app is more likely to be right there when needed. • App Connect. By connecting apps to search results and deepening their integration with Windows Phone Hubs, including Music and Video and Pictures, “Mango” allows apps to be surfaced when and where they make sense. • Improved Live Tiles. Get real-time information from apps without having to open them. Live Tiles can be more dynamic and hold more information. • Multitasking. Quickly switch between apps in use and allow apps to run in the background, helping to preserve battery life and performance. In addition to including Internet Explorer, the “Mango” release will connect the power of the Web to the unique capabilities of Windows Phones, such as location awareness, camera and access to apps, to present a way of viewing the Web that is more localized, actionable and relevant. • Internet Explorer 9. A browser based on the powerful Internet Explorer 9 and including support for HTML5 and full hardware acceleration. • Local Scout. Provides hyperlocal search results and recommends nearby restaurants, shopping and activities in an easy-to-use guide. 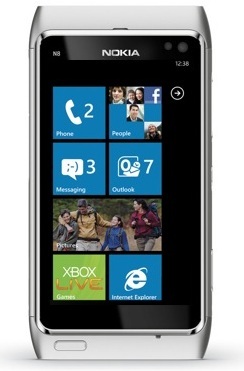 • Bing on Windows Phone. More ways to search the Web, including Bing Vision, Music Search and Voice so it’s easy to discover and decide. • Quick Cards. When searching for a product, movie, event or place, see a quick summary of relevant information, including related apps. The Windows Phone ecosystem has grown steadily since Windows Phone 7 first launched in October, with more than 17,000 apps currently available on Windows Phone Marketplace and Windows Phone handsets available from a range of partners worldwide, and Microsoft’s recently announced partnership with Nokia. “Mango” will further expand and strengthen the Windows Phone ecosystem through new partnerships with Acer Inc., Fujitsu Ltd. and ZTE Corp., which today announced plans to deliver new Windows Phone devices in markets around the world. Furthermore, Microsoft announced it will support additional languages, including Brazilian Portuguese, Simplified and Traditional Chinese, Czech, Danish, Dutch, Finnish, Greek, Hungarian, Japanese, Korean, Norwegian, Polish, Portuguese, Russian, and Swedish, and will greatly expand the list of countries where consumers have access to apps via Windows Phone Marketplace. As well, a beta release of the free Windows Phone Developer tools, which will be used to create the next generation of “Mango” apps and games, will be posted for public download to Microsoft’s website within 24 hours of today’s events. More information about what “Mango” means for developers, the tools and a link to the public download page is available.